Purederm sent me a package last December asking me to review some of their products. I've said this before and I'm saying it again, I'm no beauty expert-- but I do know how to give honest reviews and I do know what products work for me. Anyway, back to the review. I'm already a Maybelline bb cream fan (it works for morenas), but Purederm's bb cream is not so bad either! :) The shade is lighter though. But it comes with a bigger tube and when applied it makes your skin look effortlessly radiant. Apply before make-up. not the most flattering photo but the heck, Lol. Here's how the face mask looks like upclose. Okay, I don't know what happened but this cell illuminating mask is more tolerable. I still felt a lil itchy but I had it on longer than the first--about 20 mins. I don't like the excessive slime or goo though. It was all over my hands. Mich decided to join in the fun and snatched this away from me. Haha. We decided to try the foot and hand mask together. The pack comes with a wet/moisturized bag and plastic to put your feet in. It also comes with a tape to hold it in place. Then let it work it's magic for about 30 minutes. Will definitely try this again soon. I also tried the hair mask (of course I can't take photos of me in the shower, can I? hehe) and it works as well. I noticed a more manageable, softer hair after bathing. That's it! Oh, and visit their pages too! They have exciting promos this month. Ciao! 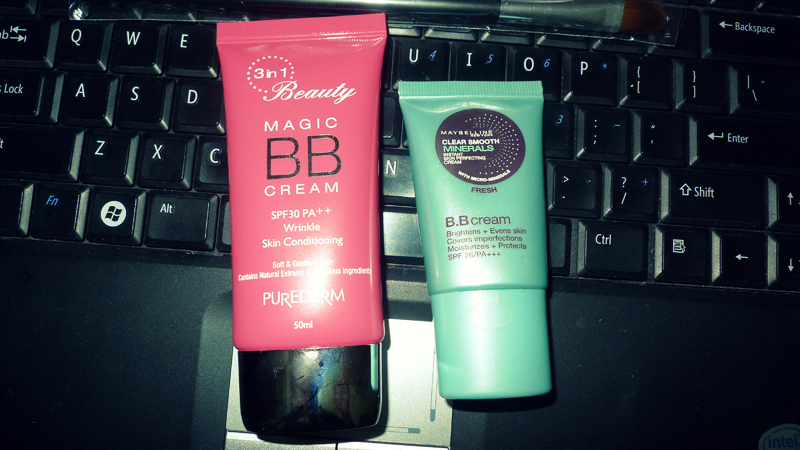 ooohhh i should try their bb cream. Haha I'm also a Maybelline BB Cream fan. I like how easy it is to spread and blend. Though my ultimate favorite is a Korean brand, I still feel like I'm pulling my face off when I'm putting Korean brands on. Will definitely try the hand and foot mask! ok yung foot mask. my feet would smile if they could.